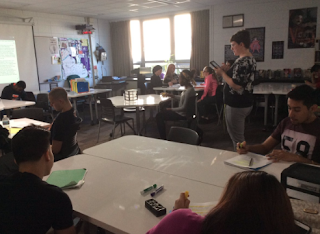 This is the first in a series of blog posts discussing the collaboration of the Collab Lab and our EG Ed Prep students. Please follow along on our journey using the hashtag #214EdPrep or clicking on the label #214EdPrep in the word cloud! 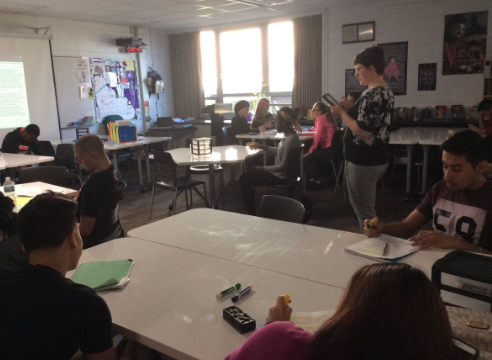 Students in the District 214 Ed Prep Program at EGHS, taught by Kim Sander, have begun collaborating with the Collab Lab on varied professional learning experiences. 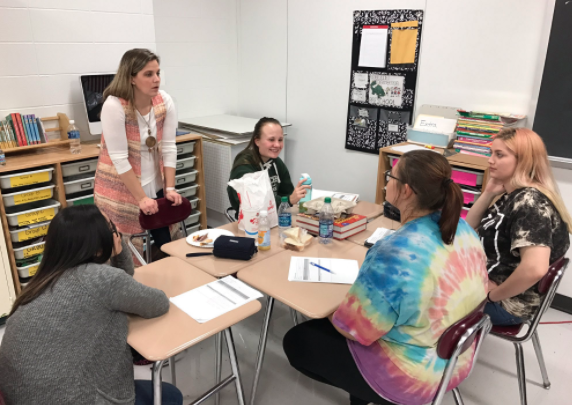 This previous post explains a workshop we did with the EdPrep students on how to use Social Media to learn, lead, build community, and to expand their professional portfolio. 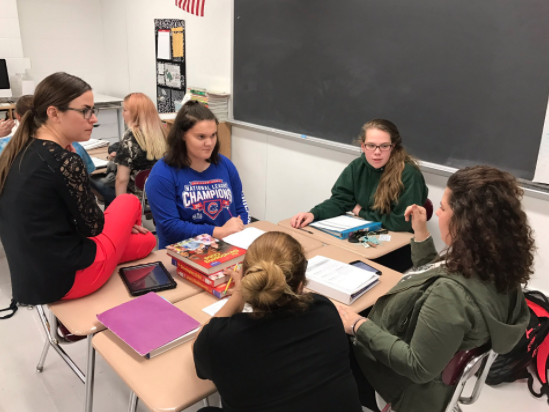 Most recently, the EdPrep students joined teachers in a class visit experience. The class was split into four groups, each accompanied by EG teachers, to observe a class for 20 minutes. We visited the classrooms of Persida Bujdei, Mark Heintz, Bonnie Kale, and Kim Miklusak. 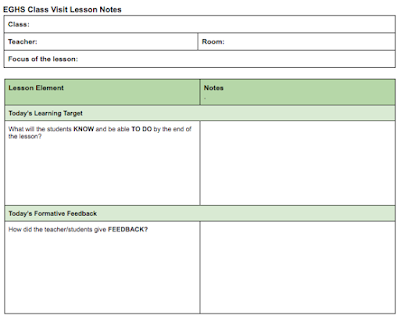 The focus of the class visit was to look for examples of learning target(s) and how they are communicated, and formative feedback (given by the teacher and/or peers). Here is the a document we used to take notes and to facilitate our conversation afterwards. After the class visits we returned to the EdPrep Classroom to debrief in a jigsaw conversation. Each group had at least one student from each class we visited, and at least one teacher facilitator. We discussed what we observed and learned in each classroom. Schoology quizzes before a test help students understand exactly what they know and don't know. It isn't graded, it is just for learning. Several students commented on how much they like these kinds of quizzes that they have done in some of their classes, and that they aren't graded. 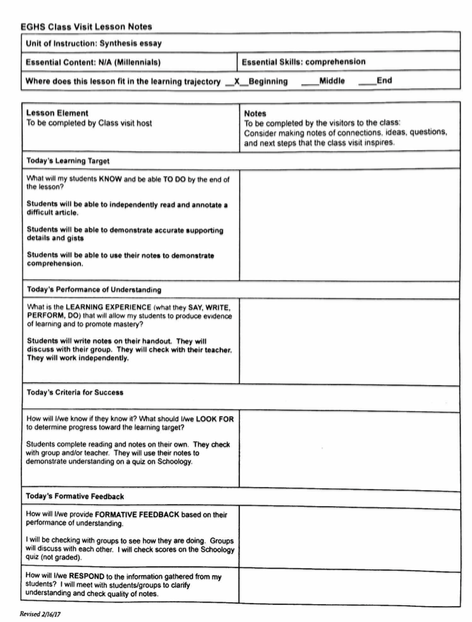 Teachers gave clear explanations of how to do the practice for the learning targets, and then did a model problem/reading and then students worked in pairs. The modeling really helps. 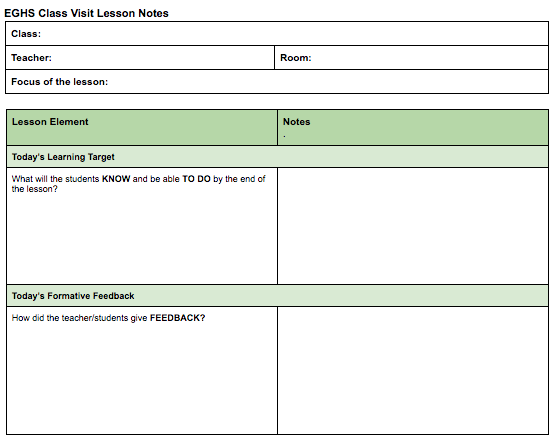 During the pair work the teachers gave feedback and students give each other feedback too. We talked about how this intentional scaffolding (I do, we do, you do) supports learning. The whiteboard tables are so good to foster collaboration and feedback. One student said she was so sorry she was "too old" that she missed out on having the whiteboard tables in her English class last year! The pros and cons of Quizlet live and Kahoot for feedback. Quizlet is good at the beginning of the unit as a "hook" and for collaboration, but if your group doesn't finish before the winning group wins, you don't see all of the questions. Kahoot is good to make sure every student sees all of the questions and gets individual feedback. It can get boring if teachers do them all of time. But they are so good for feedback. It is helpful it is to plan activities with a model, small group work and time for students to then do it on their own (scaffolding). We're looking forward to having the EdPrep students join us again for future professional learning experiences. We have so much to learn from each other! You can connect with them too! Follow their Ed Prep journey via #214EdPrep on Twitter. You can encourage them with a "like", a "retweet" or a comment! The would LOVE to hear from you!